A self-made, accomplished woman will sign autographs at the largest book festival in the country. Ingrid Kern, author of “Triumph: Taming the Monster Within” (Dog Ear Publishing, 2017), will be attending the Los Angeles Times Festival of Books. The free public festival, first held in 1996, will kick off on April 13-24, 2019 at the campus of University of Southern California in Los Angeles, CA. The author, who is a self-made, accomplished woman, is expected to attend her book autographing session, which is scheduled on April 13, 2019 at 2:00pm – 3:00pm. The Festival of Books will provide Kern plenty of opportunities to open up about her long journey to finding healing after emotional and psychological abuse. The inspiring autobiography “Triumph” tells the life story of one woman who had lived with the scars of memories of abuse for almost her entire life – and how she later found redemption and victory, which ensured her triumphant entry into a renewed life. Of course, the author’s victory over her personal demons that came in different manifestations wouldn’t have been possible hadn’t she recognized what these demons were, how they crippled her, and what she did to overcome them. 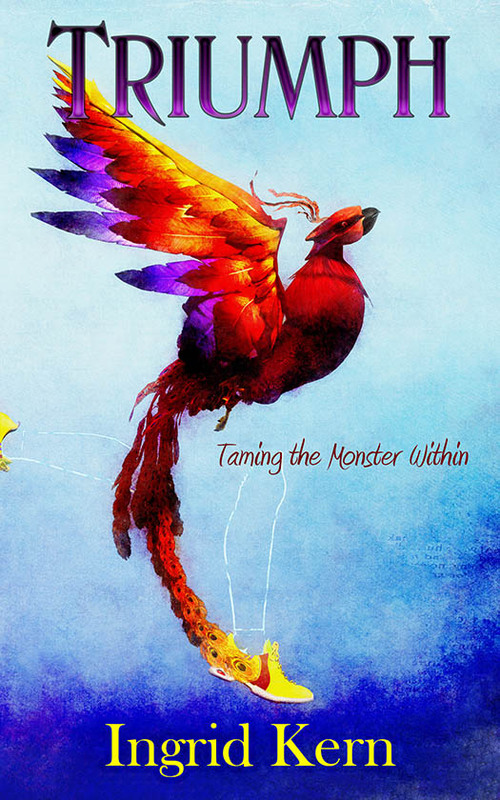 Ingrid Kern’s “Triumph: Taming the Monster Within” is available at Amazon and Barnes & Noble. Ingrid Kern grew up in Vienna, Austria, being physically, mentally and emotionally abused by her alcoholic father. After his death, she dropped out of school at age eighteen. She worked as a model in Europe and played on stage in Vienna for a season. Ingrid moved to New York and got married. After her divorce, she moved to Los Angeles, where her actual healing journey began. She has published books of poetry and self-healing: Volume One, Words From An Unchained Heart, What’s Your Monster’s Name? and 100 Whispered Words. She received several awards for some of her poems, including the Poet of Merit Award from the International Society of Poets for her poem “9/11”. Several of her poems have been featured in the Brentwood News. Ingrid lives in Los Angeles and shares her time working in real estate, managing a building, writing, and traveling. She loves animals.